It’s no secret that I LOVE Mexican food. I just can’t get enough of the fresh ingredients that are typically used in authentic Mexican dishes- avocado, black beans, salsa, cilantro, the list goes on. Today’s post is about my all time favorite lasagna. Which is actually nothing like typical Italian lasagna, as a matter of fact, it couldn’t be more different. 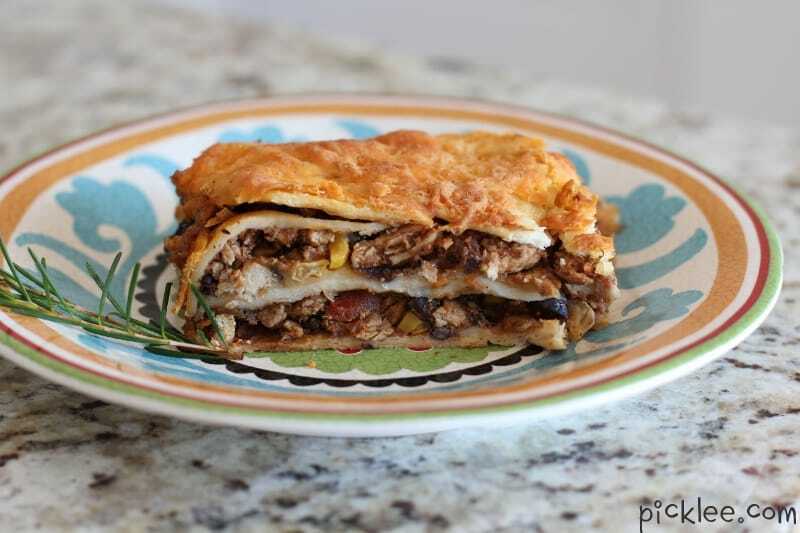 This is Mexican Lasagna with chicken, black beans, and mixed veggies; so it’s much better for you than it’s Italian counterpart. 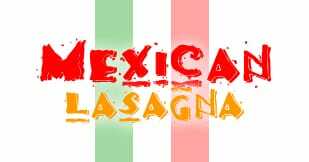 Here it is, the Chicken & Black Bean Mexican Lasagna Recipe. 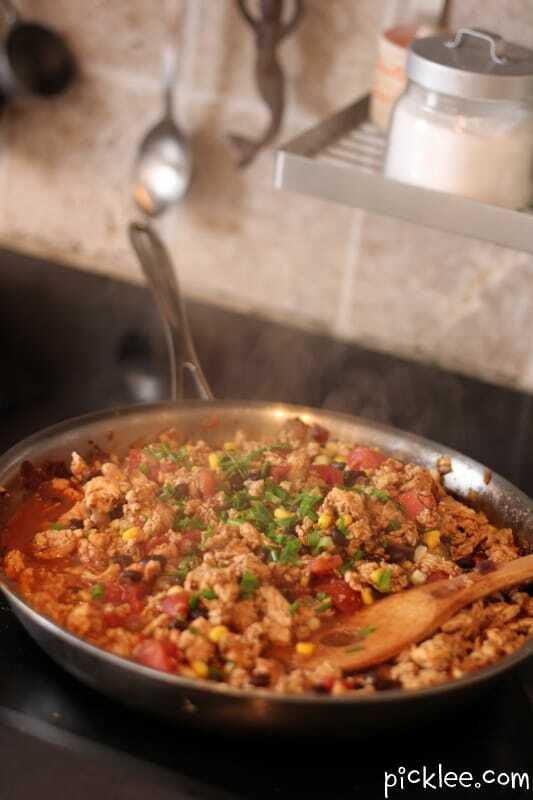 In a large skillet, add chicken, olive oil, red onion, chili powder and cumin-sautee until chicken browns. 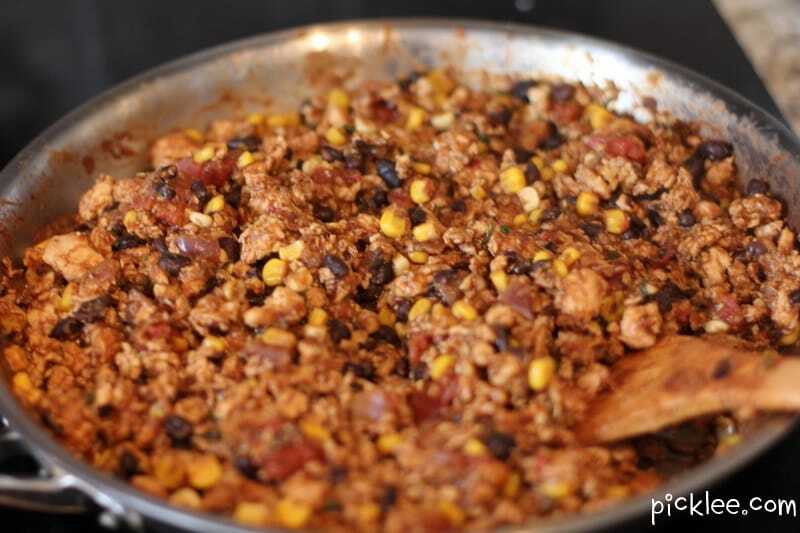 Add tomatotes, salsa, black beans and corn and scallions. Coat a baking pan with 1 tsp of olive oil. 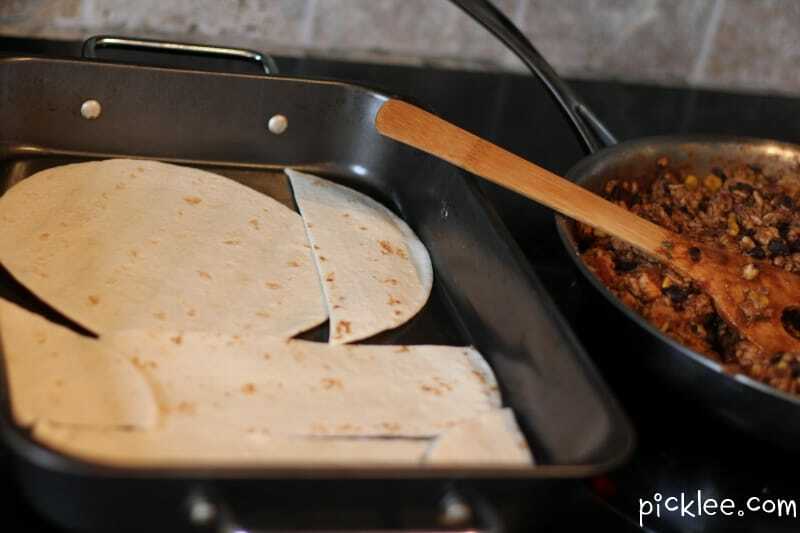 Cut tortillas into strips as needed to line the bottom of the pan. Spoon a layer of the chicken mixture onto the tortillas. 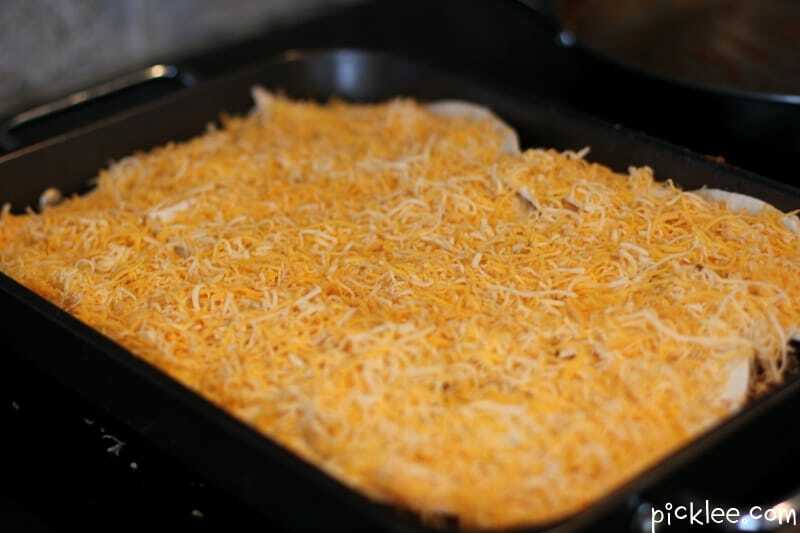 Bake the Mexican lasagna for 12-15 minutes at 425 degrees until cheese is brown and bubbly. This is easy to make and so delicious! 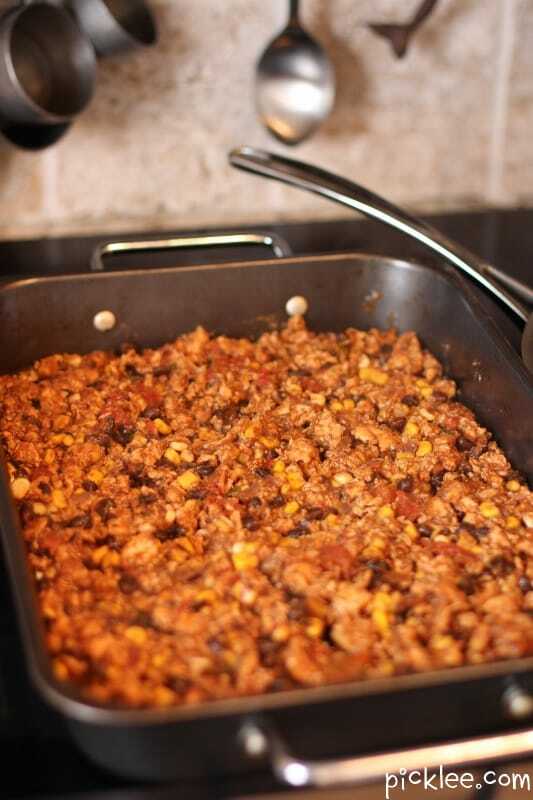 I’ve made it twice so far (sans corn) and my family loves it. Thank you for posting.